Distressed metal anchor has rustic appeal for your coastal decor. 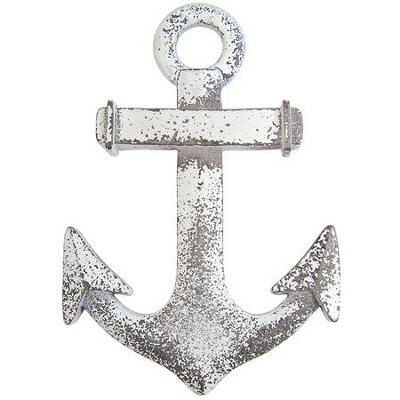 Simple and classic anchor with vintage-look worn off paint is made of recycled materials. 5.5" x 3.75". May be hung on the wall or used as a table accent or paper weight. Made in the USA. I'm the author/artist and I want to review Anchor Cross Wall Art.